As I wrote about a couple months ago, the Grammar Analysis class I am teaching this semester can be difficult, especially for those who are not inclined to be analytical. The coworker that prepared the materials for our last grammar class had used the subtitle "The Funnest Class" as a bit of ironic humor. I decided that Analysis needed something a bit darker and more direct, so I used "The Thorn In Your Flesh." I did hope to get a laugh, but as I considered the implications of II Corinthians 12:9, I realized just how appropriate it could be in this situation. 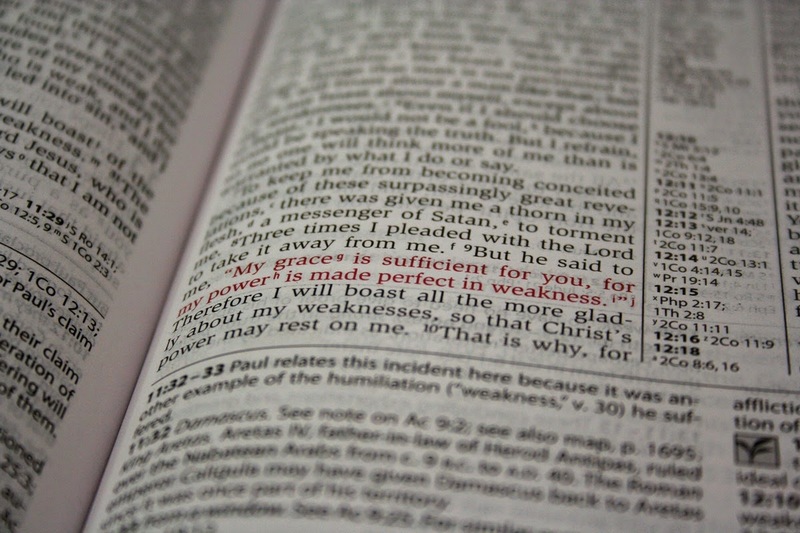 In this passage, God reassures Paul that his thorn had a purpose: to demonstrate Jesus' grace and power. I decided to include the verse as a daily reminder to prompt in the students the same reaction that Paul experienced in his own life: that they would rejoice in their weakness, allowing Christ's power to work through them. I expected them to get bored and discouraged with the material we were studying, and they did at times. I'm glad to say, though, that in the past 4 months they have all shown remarkable improvement in their ability to break down language. Yet, I know that most of them would say, "I'm not very good at this." However, I can't take credit for their improvement either. As I look back at the past year, I can honestly say that I love teaching. I have enjoyed preparing lessons, giving lectures, and doing personal tutoring. 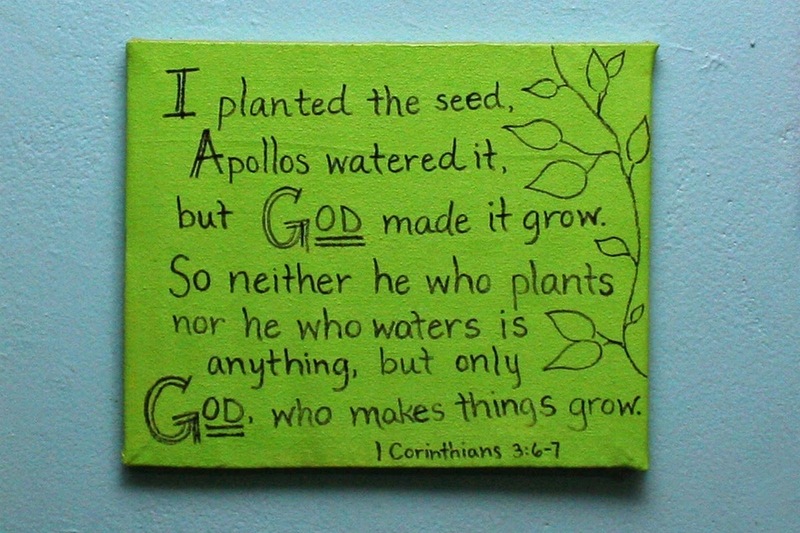 That said, these verses have been just as important for me. I, too, have gotten bored and discouraged. I have so much to learn about all three of those aspects of teaching that I just mentioned. There are so many ways I need to improve. I'm completely new at this and I have had days where I return home from class wondering if I actually communicated anything worthwhile at all. Some say, "You never really learn something until you teach it" and I agree. I would also say, "You don't really know what fluency in a second language is until you try to teach in it." 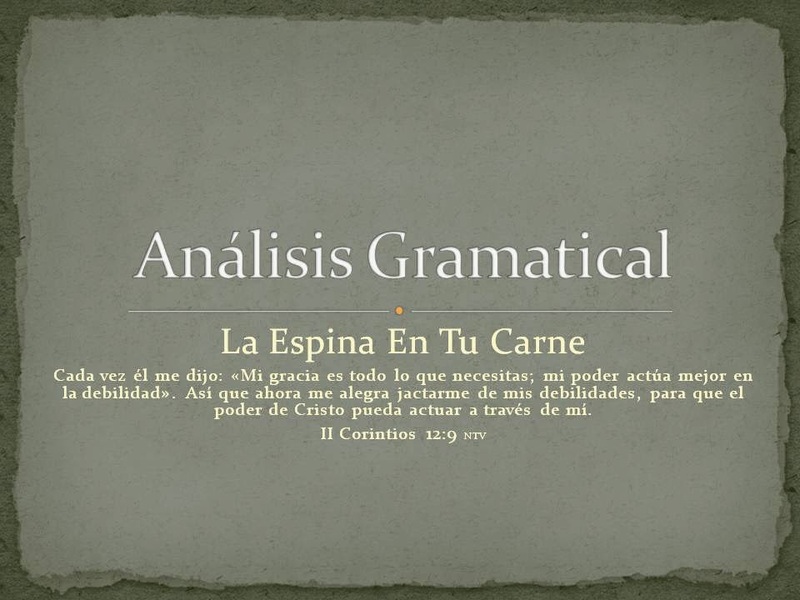 I feel like I have been completely stretched and wrung out in both my understanding of grammar analysis and of Spanish. I often have to "hunt" for words to describe concepts, because I still lack some of the technical vocabulary in this area. I sometimes get to the end of the 2-hour class so mentally fatigued that I can't utter a simple sentence without some glaring, basic error in pronunciation, gender, or subject-verb agreement. And for a grammar nerd, that's the worst thing that can go wrong! That's why this passage is so beautiful. In the end, it's not really about me or my performance. No one really knows what Paul's "thorn" was. There has been a lot of conjecture and a lot of good ideas, but the fact is that he left it unnamed. I believe that the Holy Spirit kept it hidden so that we could more freely apply this passage to our own difficult situations. If Paul had specified what his difficulty was, we would tend to categorize it and put the application of this passage in a box. As it is, we can take hold of the hope that is offered here and rest in Christ's work for us and through us. Now, I wouldn't go so far as to say that my inexperience and inadequacy could be described as "a messenger of Satan," but they are a sign of weakness. And that's discouraging. Kaylee has also experienced this. Although she speaks well, she struggles to express herself clearly in Spanish at the level at which she is accustomed to communicating in English. She is uncertain of cultural cues at church, around campus, and as a hostess in our own home. Yet God is using her, too, as she faithfully applies what she does know. She has had some good opportunities to advise and counsel both students and staff ladies, in the past few weeks especially. We are not here in Bolivia because we are great missionaries, or great disciplers, great Christians, or even great people. The reality is that we are not great anything! We are weak. We have problems. We struggle. We are uncomfortable. We are inexperienced and have so much to learn. And that's a good place to be. If we really contributed anything to this work, we would have something to take pride in. I don't know how others view us, but because we recognize our own weakness, we can see that it is Christ who is working in us and through us. It is His power that is shaping us and maturing us. If anyone else is blessed or changed by what we do, it is only because of His power being perfected in our weakness.